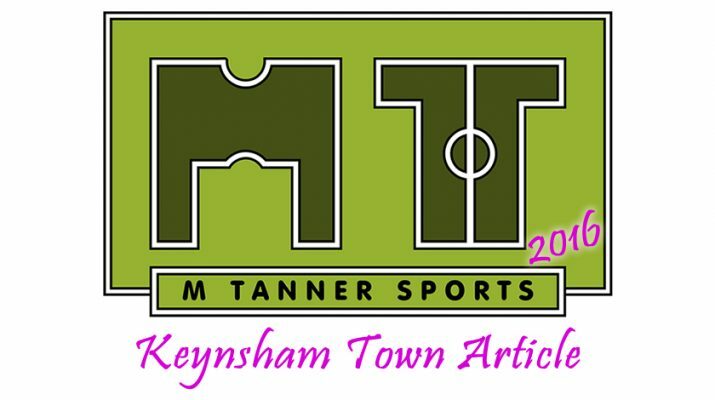 Keynsham Town were awarded the Toolstation League Div One Team of the Month for their efforts in December 2015. Chris King’s men have won 4 in a row and are still unbeaten at home since the beginning of the season. 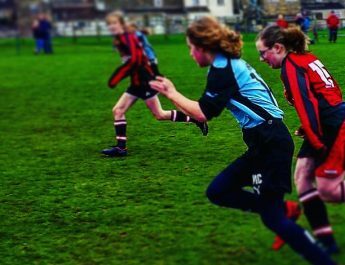 Off the field the club are being just as successful as their youthful team on it. On boxing day the committee took the decision to schedule their game against Hengrove to kick off at 11.30; with Hengrove’s approval. This allowed football fans of other nearby clubs to be able to take in two games in a day; with 135 witnessing a 2-0 win for the Ks. There are now plenty of fixture posters back in the local high street to encourage the locals to get out and support their home town. The club have also spent money on improving their catering services at the AJN Stadium which is already paying for itself. Smart Computers are still a main sponsor for the club along with their new shirt sponsors The Old Bank. 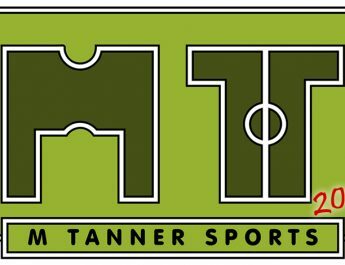 More advertising boards are being made up this season along with individual player sponsorships; so plenty of opportunity for local businesses show their support. On the field Keynsham have moved up to 5th in the league; their highest league position for years. In their last game they beat Roman Glass St George 4-2 away despite going 2-0 down early in the game. Teenagers Jamie Noble and Aaron Childs came on to give the Ks more pace in the final third, although they did suffer a scare at 3-2 up. Roman Glass were given a controversial penalty with the linesman taking down his offside flag. However the penalty missed and Keynsham went on score another and win comfortably. Striker Pat Davison is in form with 5 goals in the last 3 games after returning to the starting line up after he came back from travelling in November. This achievement is even more remarkable considering that Keynsham are one of the only amateur team in the league. 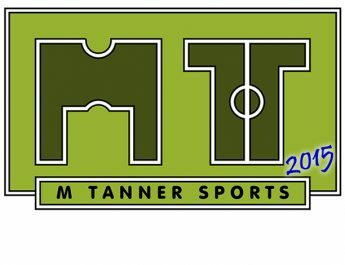 Keeping hold of their talented, committed, hard working squad will be King’s biggest challenge for 2016 as he looks to keep the Ks in the right half of the league table come May. 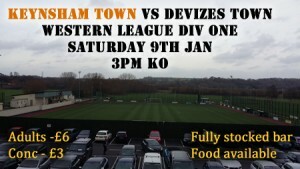 Keynsham’s next game is at home on Saturday 9th against Devizes Town 3pm ko. Can they make it 5 wins from 5? You’ll have to get down to the AJN Stadium to find out!